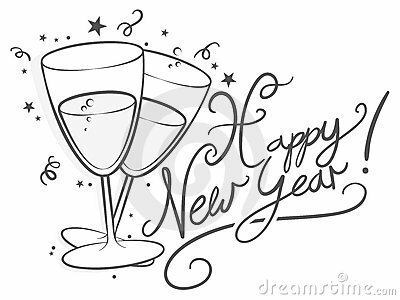 An illustration in black and white with champagne glasses and customized text saying Happy New Year. Happy new year greeting card. Cute owl family cartoon.